Rachel B. cooks...: "Bang bang" Shrimp... or maybe "pow pow" or "boom boom"
I celebrated my 23rd birthday a few weeks ago and enjoyed a meal out with my husband at our favorite chain seafood restaurant, Bonefish Grill. If you haven't been to one, go! It does not feel like a chain restaurant and doesn't taste like a chain restaurant. We always order the same appetizer every visit: the bang bang shrimp. 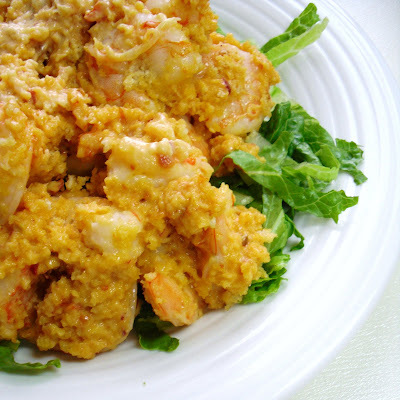 I've tried to copy-cat the sauce in this dish, it's spicy, sweet, creamy, and oh-so yummy, but have failed miserably in the past. This time, I finally got close. 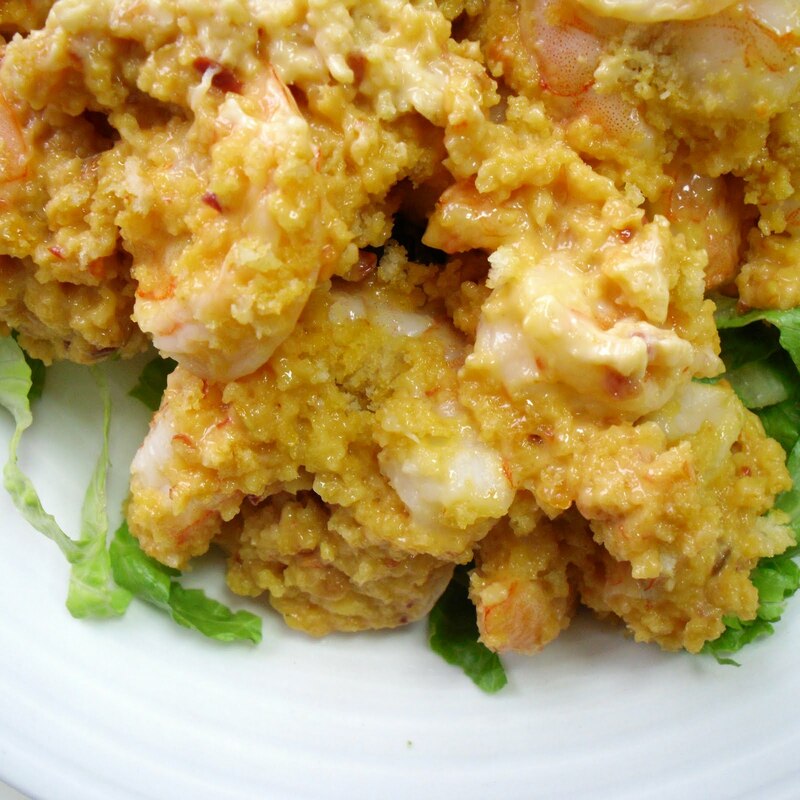 This recipe is not identical, but very similar and a little healthier because I skip the deep frying, so I might need to call it "pow pow" or "boom boom" shrimp because it's not the true blue "bang bang" shrimp. This recipe is SPICY but sweet and the wine paired with it should be on the sweet & light side. Gewürztraminer is semi-sweet and fruity with a floral nose, and pairs well with many Asian style dishes. I would also suggest the crisp, light, sweet Muscadet, which pairs well with seafood. 1. Preheat oven to 400 degrees F. Line cookie sheet with parchment paper. Set aside. 2. 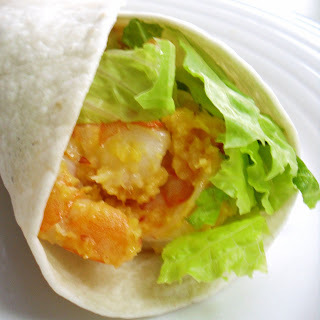 Thaw shrimp according to package directions, peel shell (you can choose to leave or remove tail), and lay on paper towels to dry. 4. Meanwhile, mix up sauce in another large bowl by combining mayonnaise, chili garlic sauce, and sugar until well incorporated. Set aside. 3. Put shrimp in large bowl. Add 3 tbsp of sauce to shrimp and mix to coat evenly. 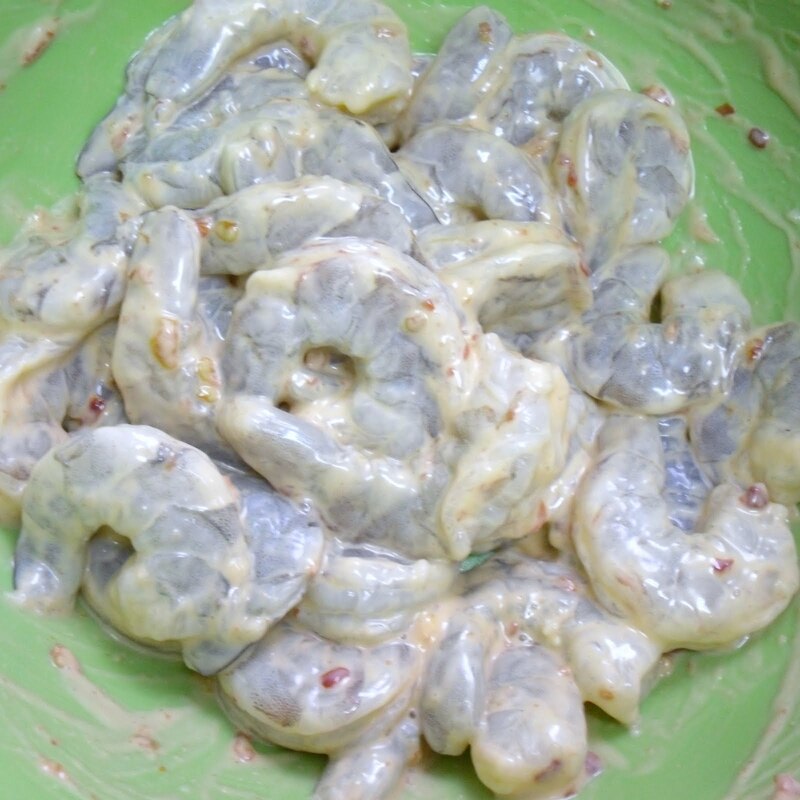 Allow shrimp to sit for 10-15 minutes, absorbing sauce. 4. Pour panko into shallow dish. Dredge shrimp in panko breading (may need to press slightly to get breading to "stick") and place in single layer on baking sheet, spaced at least 1/2 inch apart. 5. Bake in oven for 7 minutes. 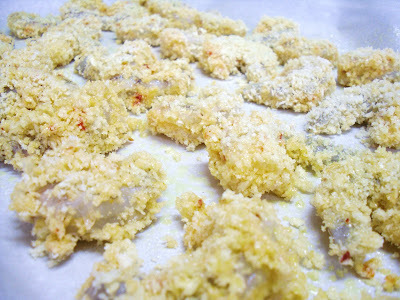 Remove from oven and allow to cool for 1-2 minutes. 6. Add cooked shrimp to sauce and toss to coat evenly. Serve over bed of shredded romaine. Top with sliced green onion. 7. Grab your chop sticks and enjoy! 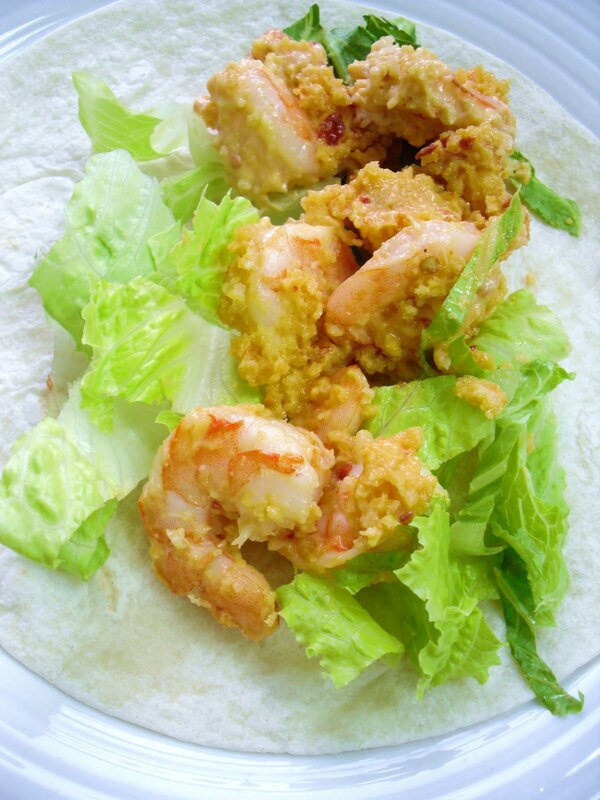 The same restaurant also serves this yummy appetizer as a taco so I made this appetizer a meal by adding a little more lettuce and enjoying in a warm tortilla! Happy cooking! Thank you! Following your blog as well, love it!